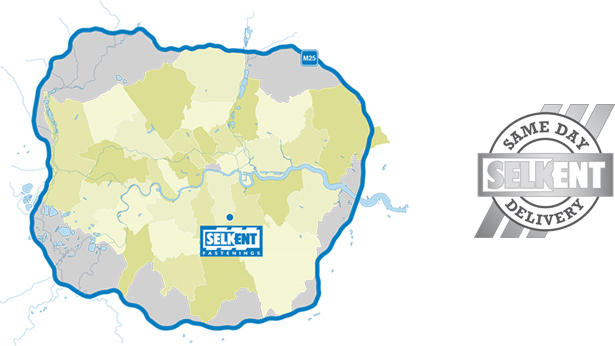 When you spend over £150 you qualify for free express delivery which is 1-3 working days. NOTE most orders are delivered next day. 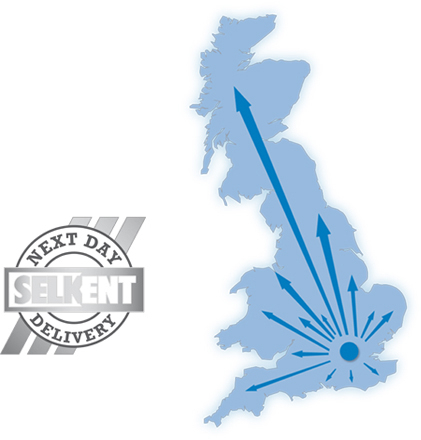 At SELKENT we know how valuable your time is, so we want to let you know about our SAME DAY DELIVERY SERVICE, specially structured to meet the stringent demands of the metalworking and construction industries. It is very easy to use, simply place your order by phone, fax or email before 6.00 pm and we can deliver before 12 o'clock the next day.